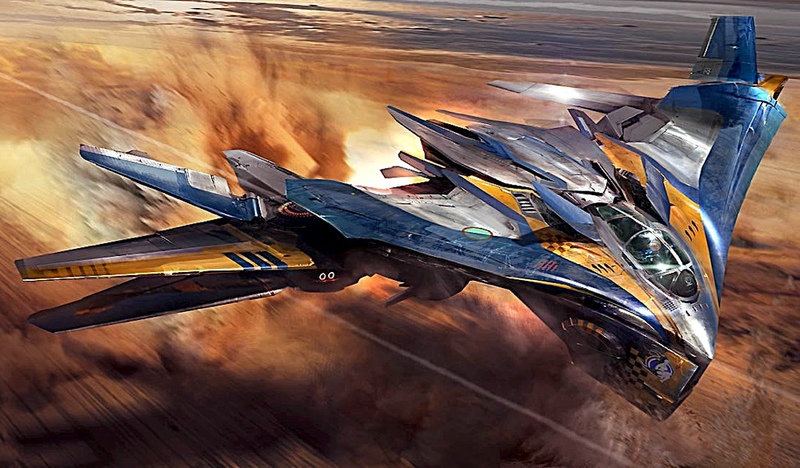 THE HOLLYWOOD HIT Guardians of the Galaxy was a rip-roaring space opera that punched its way to popularity, and now stands in third place on the Marvel Studios all-time hit list. And now Fantastic Plastic has released a 1:144 scale kit of the Milano, a ship that plays a similar sort of role in Guardians to the Millennium Falcon in the various Star Wars movies. 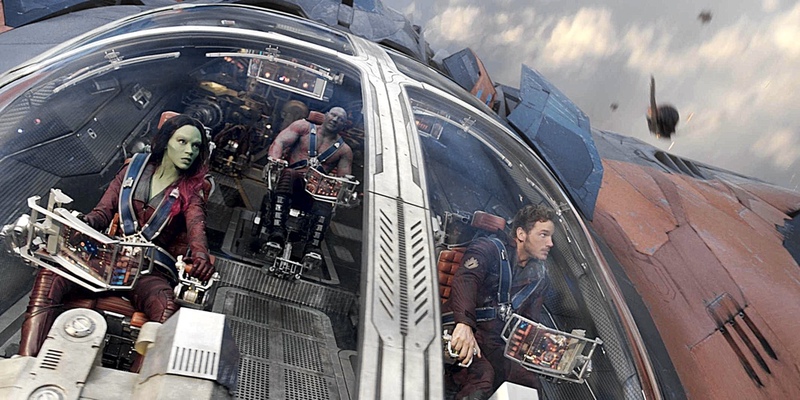 Still from the movie (below) shows Pratt at the helm, green-skinned alien in the co-pilot's seat. 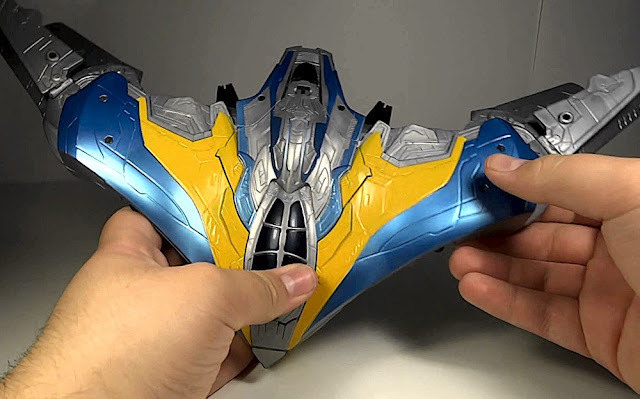 The box (below) boldly announces the scale, a useful 1:144 that will allow the finished model to be displayed next to a huge variety of models. 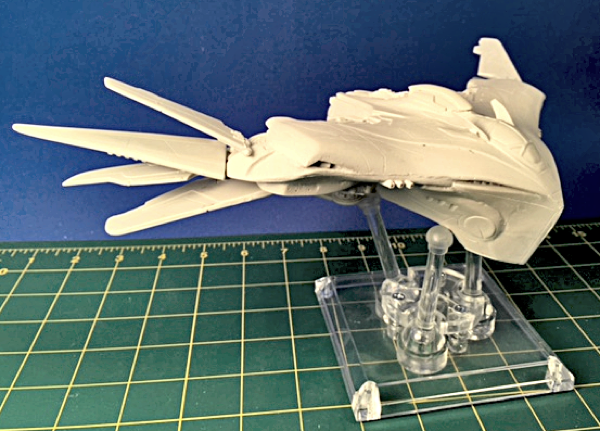 Most interesting would be fin-to-booster size comparisons with the many real-space kits available in this scale. 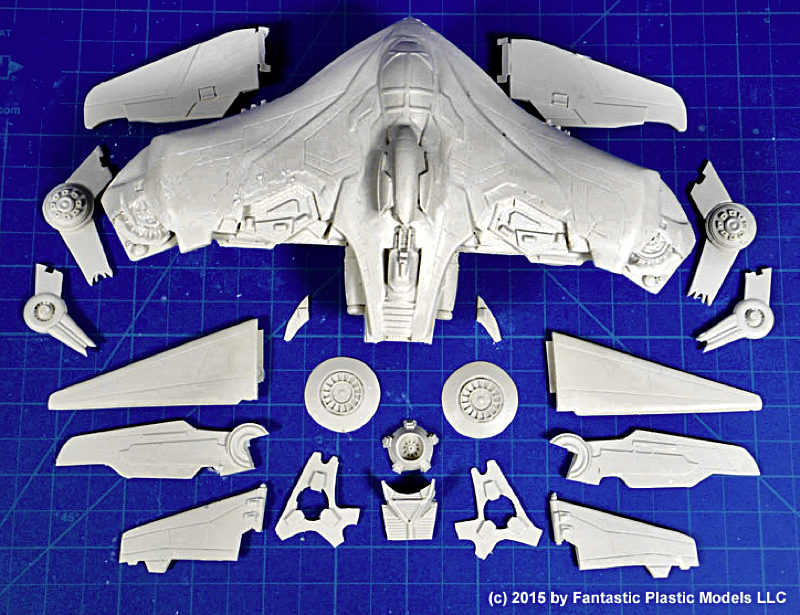 Just 21 components are supplied, and there is no interior detail, or indeed transparent canopy parts. But careful paintwork should result in a convincing appearance, and who's to say that the Milano shouldn't have switchable midnight-tinted glass to hide the crew from evil aliens? 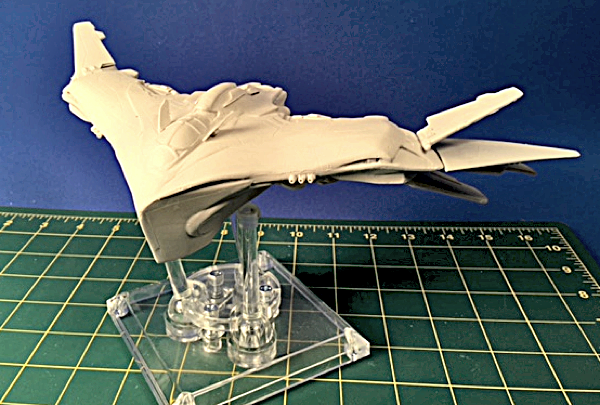 Two views (below) of the assembled, but unpainted Milano show off the excellent wingtip vanes well. The sturdy base in this pic (we're not presently sure if it comes in the box) looks more steampunk Victoriana than far-futurismo, but the four-square design appears to do its job well. No time to build a kit? Then you could try this OK-ish semi-scale ready-built (below) from Hasbro. Marketed as a toy, it could look really good in a scale model collection if you took the trouble to dirty it down, describe some of the somewhat crude panel lines, and add some subtle weathering. 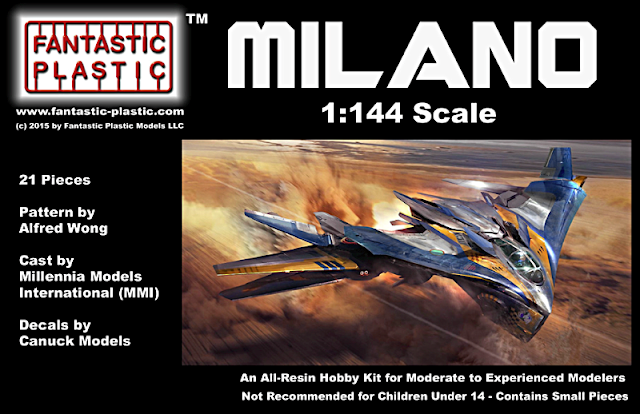 For info and ordering for the Milano and much other fascinating stuff, visit Fantastic Plastic. *SMN note: We're not so sure those 'colourful wings and fins' are so purposeless. Aviation company FlexSys is ready to bring wing-morphing systems to market, in pursuit of improved flight efficiency and better fuel consumption. According to FlexSys, "...FlexFoils could even change the camber, as well as airfoil shape, of winglets to optimize performance for takeoff, climb, cruise, descent and landing."